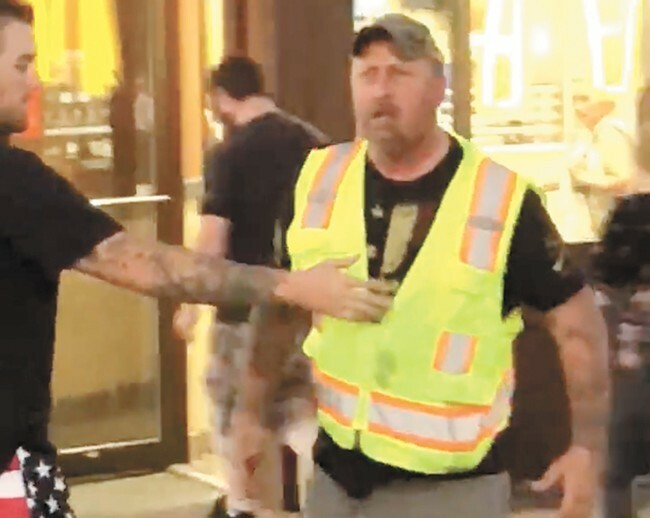 Richard Sovenski, the Hayden, Idaho, man who hurled racial slurs at a Spokane youth group and allegedly assaulted an adult accompanying them last summer, was recently found guilty of misdemeanor battery by a jury. Now, he's reportedly been sentenced to 180 days of work-release. Under his work-release sentence, Sovenski must sleep in a correctional facility but will be allowed to leave during the day for his construction job. "I'm happy that he will be serving some time," says Jose Ceniceros, the former youth community director at Immanuel Church in Spokane who was with the teens during the incident. "I'm glad he got what he got." Sovenski was charged with misdemeanor battery and felony malicious mischief. However, on Dec. 20, a Kootenai County jury only found him guilty of committing battery, and not the felony harassment charge, which is a hate crime. Ceniceros, who was present at Tuesday's sentencing hearing in Coeur d'Alene, says that the county prosecutor originally only asked for 60 days of work-release for Sovenski. But the presiding judge, Scott Wayman, increased it to 180. "The judge was pretty strong worded ... and was not happy with [Sovenski's] actions and considered him a threat to the public," Ceniceros says. Michael Palmer, Sovenski's attorney, tells the Inlander that the final sentence was excessive given the conviction and Sovenski's criminal record. "His only criminal history is a DUI from six and half years ago," Palmer says. "He literally has never been in the criminal justice system other than that." Ceniceros adds in a text that he and several other community members who were present at the hearing were surprised with the length of the final sentence. "We were all fearing no jail," he writes.